One of the more unique trends I’m loving for spring is perforated pieces. From tanks to bags to jewelry, it toughens up a normally plain item and lends a cool-girl vibe. My favorites? These jeans and this tank. 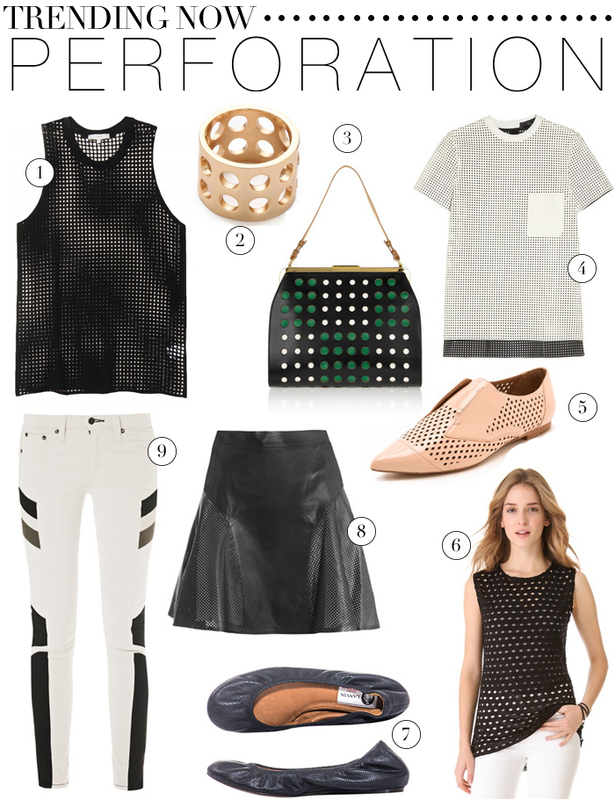 love rebecca minkoff’s perforated bags for spring… especially in white. getting one asap! love your picks too.